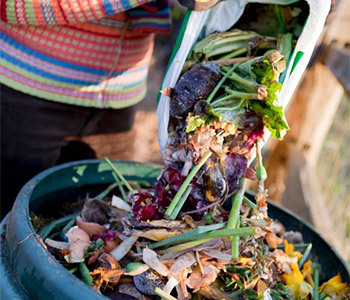 We undertake kitchen waste disposal all over Sydney. If you are looking for kitchen waste disposal of any kind, we are the people to call – we come and collect all your kitchen waste and dispose of it, taking the whole job off your hands. We have the correct expertise and the proper vehicles, as well as access to the necessary disposal and recycling facilities when it comes to getting rid of kitchen waste. One phone call to us is all it takes to get the job done. We have the know-how in all sorts of rubbish collection and waste disposal services across Sydney, therefore we are able to carry out the waste disposal in a quick and efficient manner. If you are a commercial kitchen of any kind, then it is likely you need to hire a professional waste disposal company to collect and dispose of your kitchen waste. We are a company who operate in Sydney, and are regularly hired by bars, cafes, restaurants and hotels. We are a fully licensed waste disposal company who always dispose of the kitchen waste we collect from you in a responsible way. Our customer service team is friendly and welcome any questions you may have about pricing, and booking your kitchen waste disposal in Sydney. Whether you are looking for a one-off collection of kitchen waste, or want to set up a regular collection date for us to collect and dispose of the waste, call or email us to find out more. Get in touch with us for a free no obligation quote for waste disposal in Sydney. 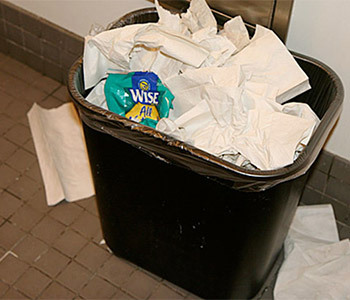 If you are looking for bathroom waste disposal services in Sydney, we are the people to call – we come and collect your bathroom waste at a convenient time for you, and then dispose of it via the appropriate channels. We have the man power, the specialist vehicles, and the access to the licensed disposal facilities when it comes to bathroom waste disposal in Sydney. Simply get in touch with our customer service team and arrange a collection today. We have the expertise in all areas of waste disposal services across Sydney, and we are able to carry out all our services in a quick and convenient manner. We are able to collect and dispose of all your bathroom waste, ideal for commercial outfits, and businesses. We are a fully licensed waste disposal company who always dispose of anything we collect from you, such as bathroom waste, in a responsible way. Our customer service team is friendly and welcome any questions you may have about pricing the job, and booking your waste disposal in Sydney. Whether you are a business, organisation, or homeowner, we can undertake the Sydney waste disposal service job for you. Let us take the unpleasant jobs off your hands, and the responsibility of disposing of the bathroom waste away from you. Get in touch with us for a free no obligation quote for waste disposal in Sydney.